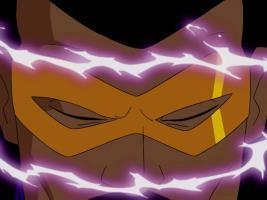 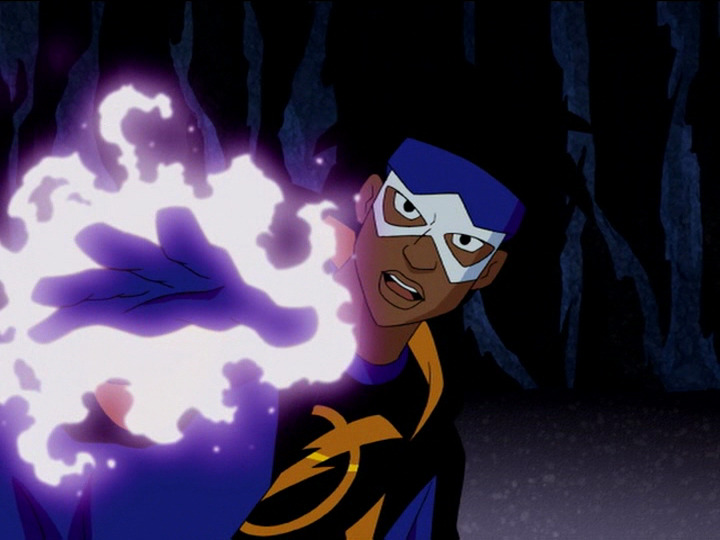 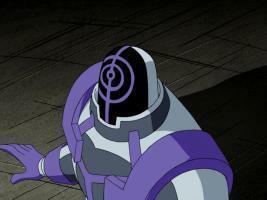 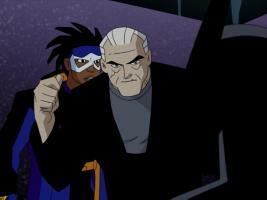 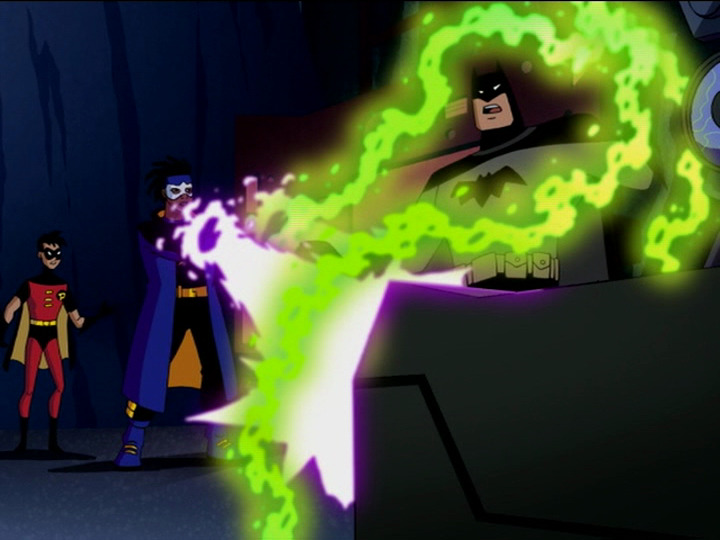 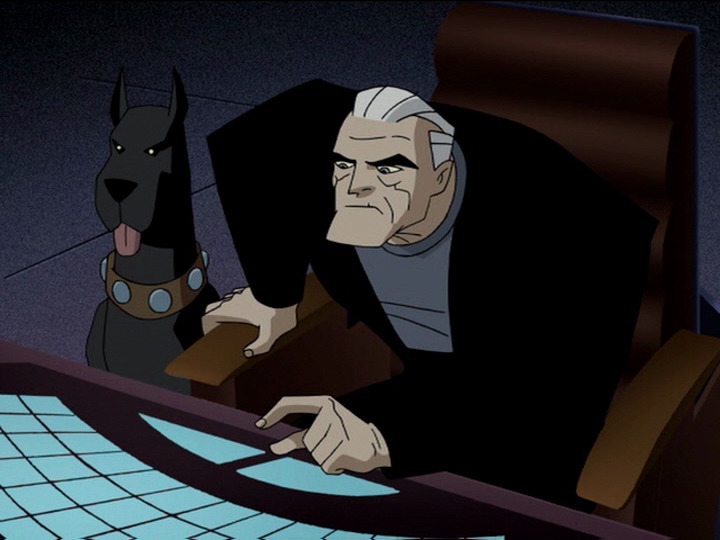 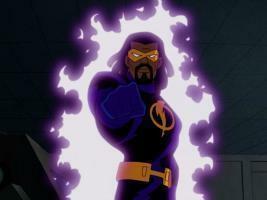 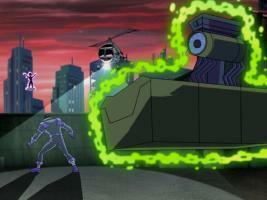 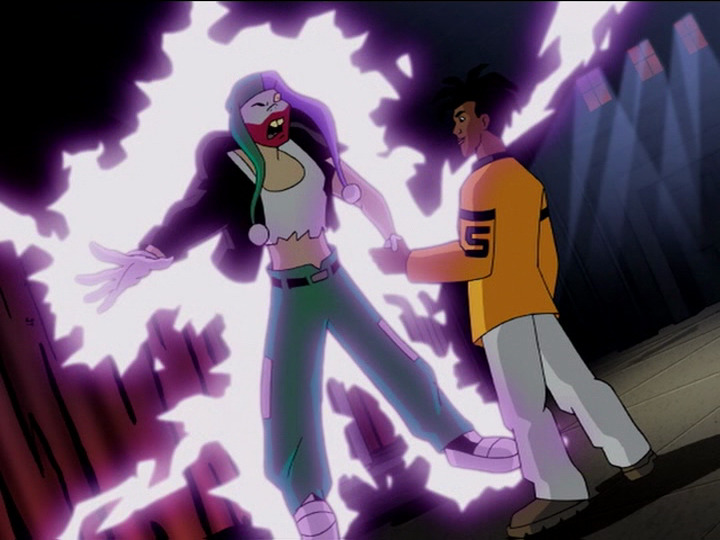 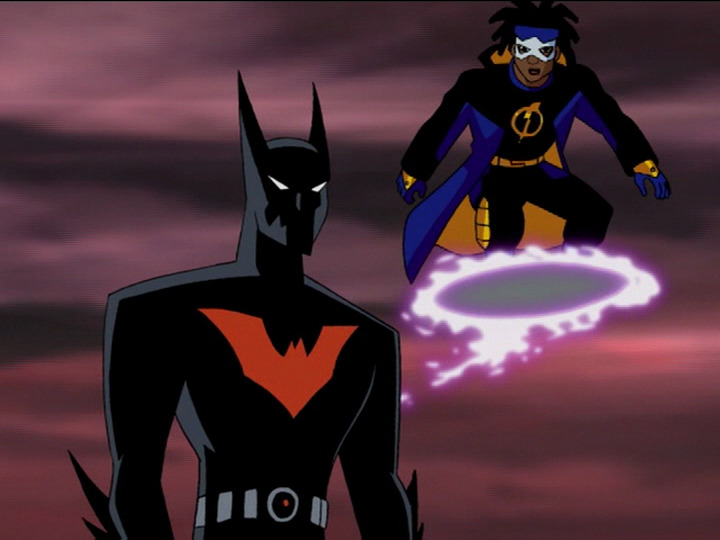 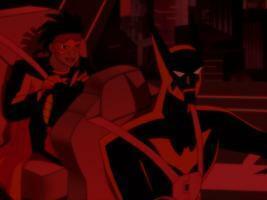 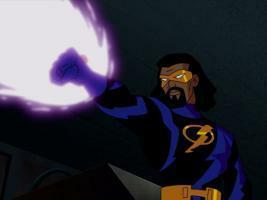 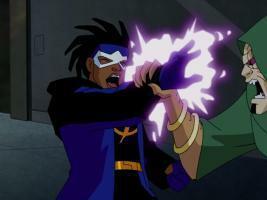 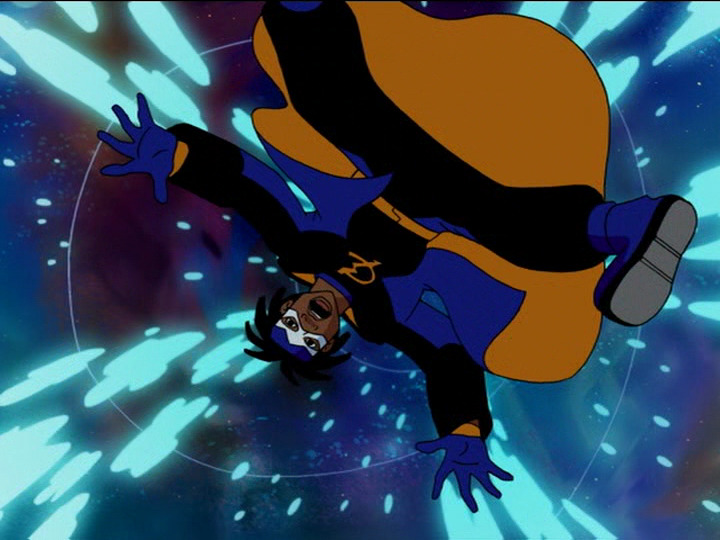 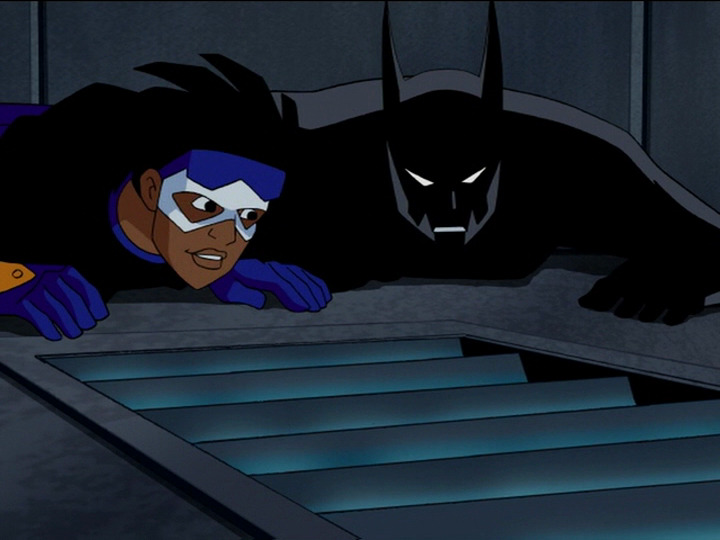 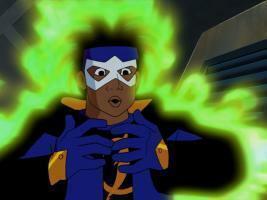 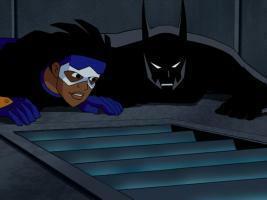 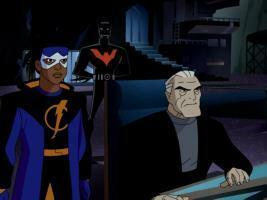 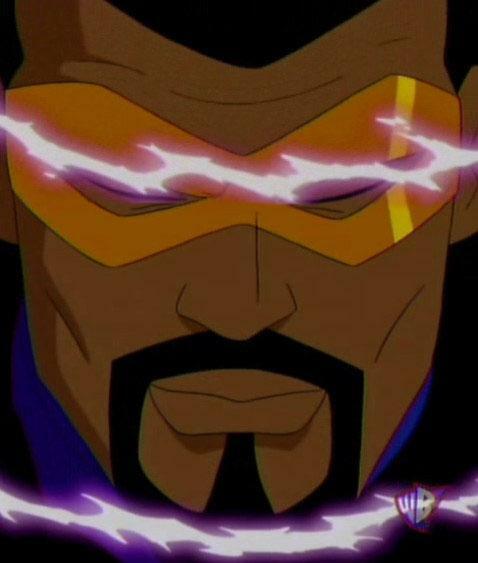 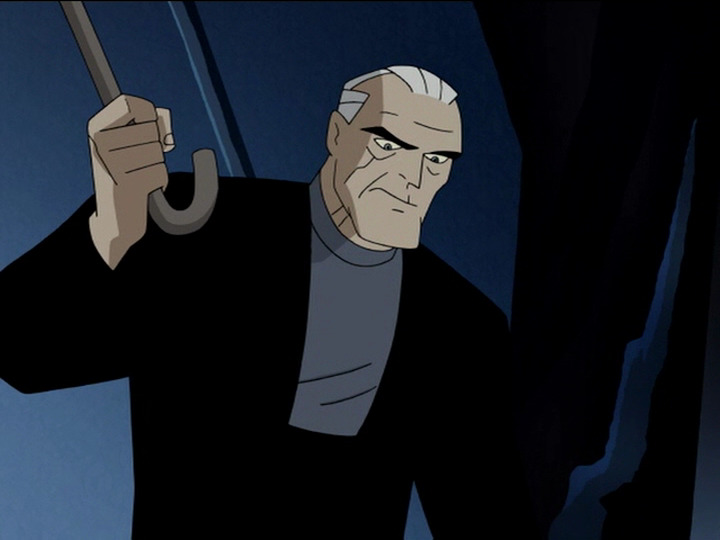 When Static is thrust into the future, he has to team up with Batman (of Batman Beyond) to save the adult Static. 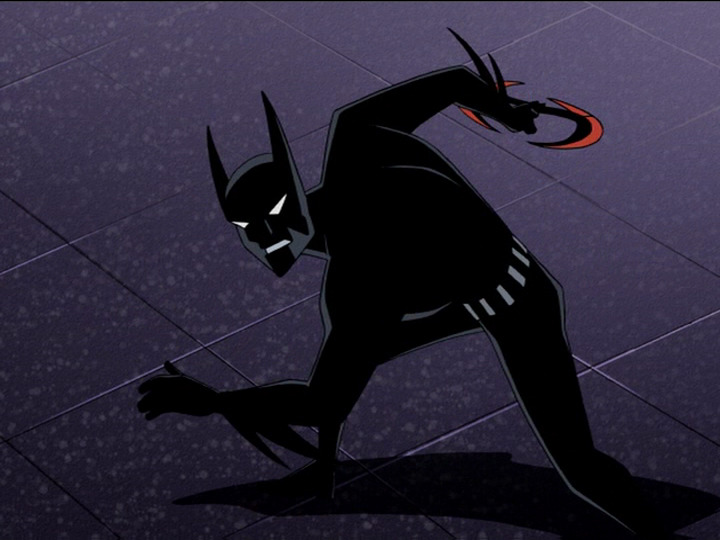 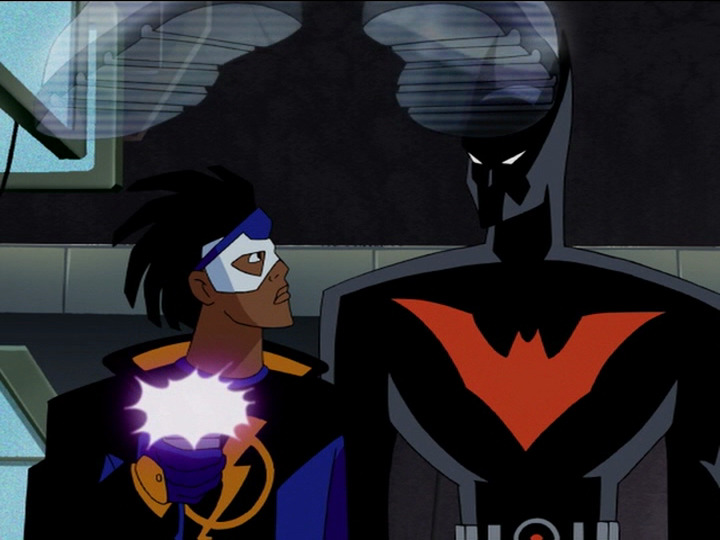 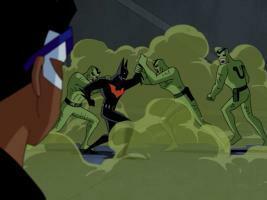 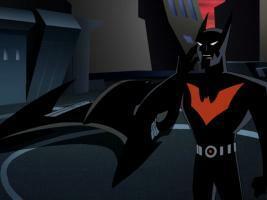 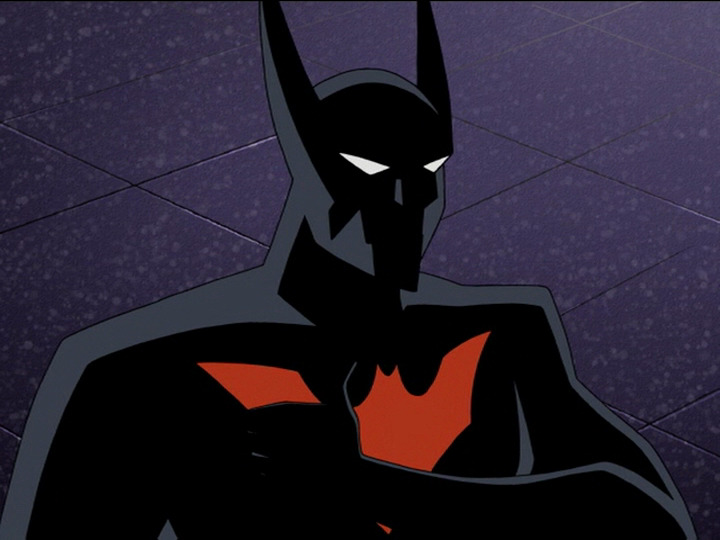 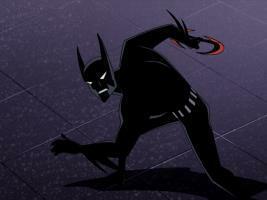 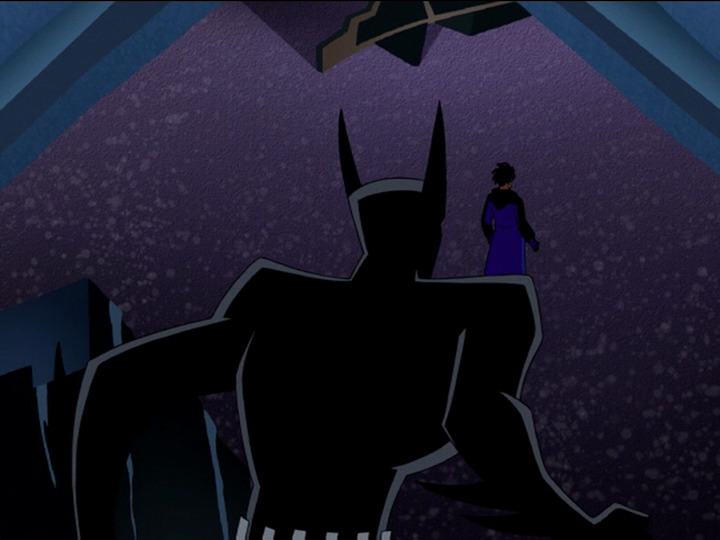 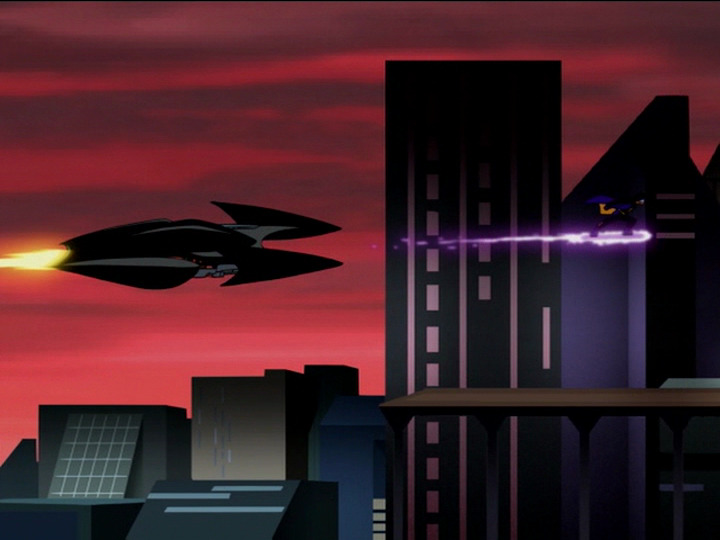 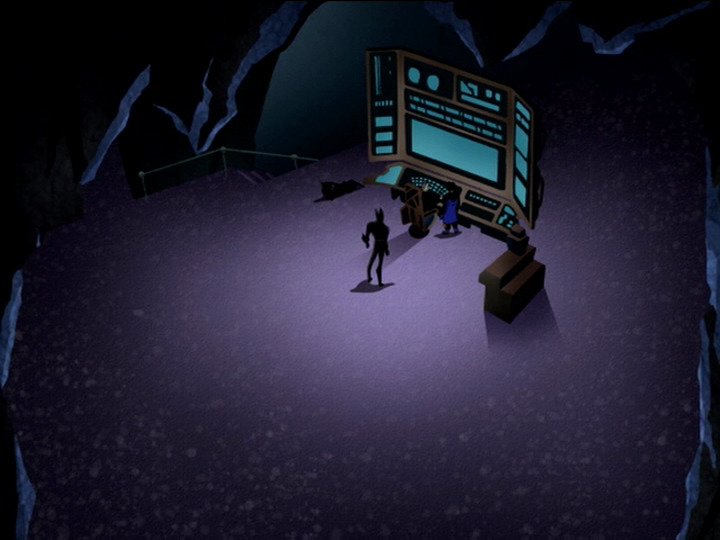 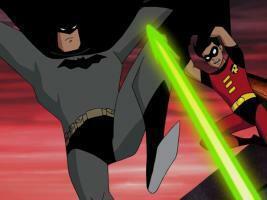 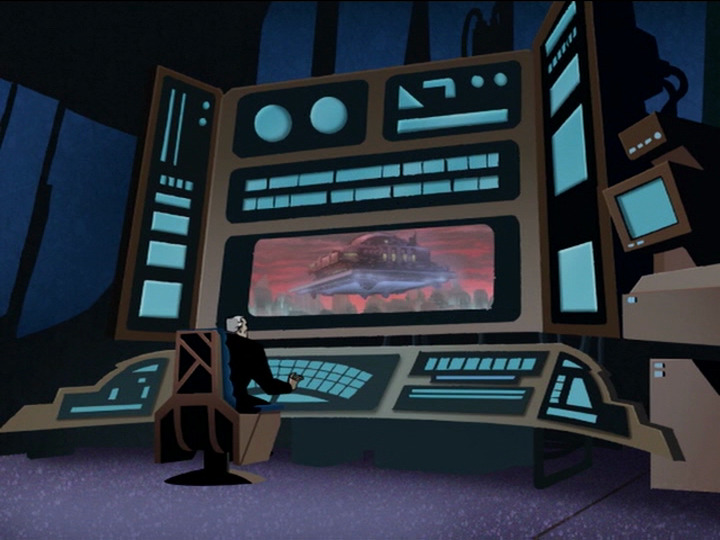 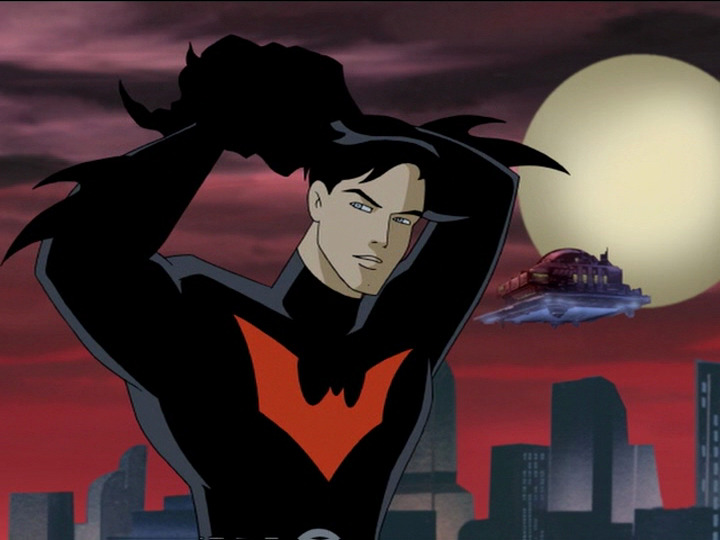 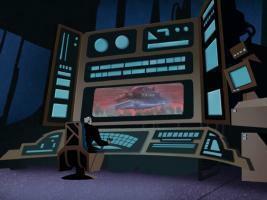 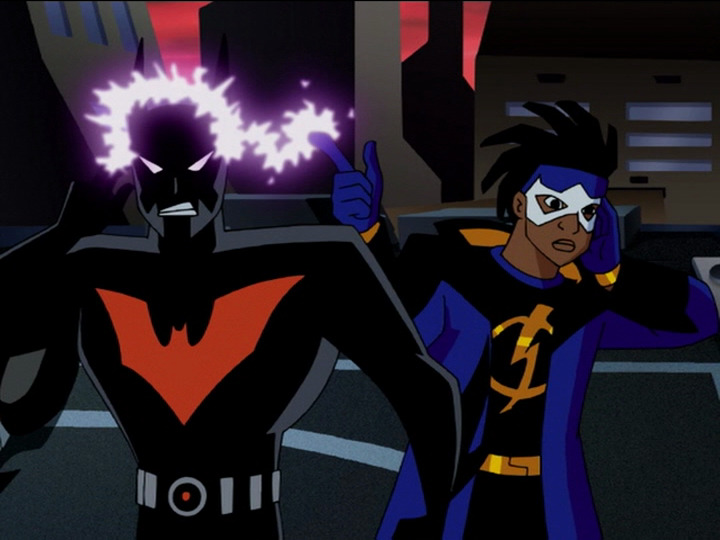 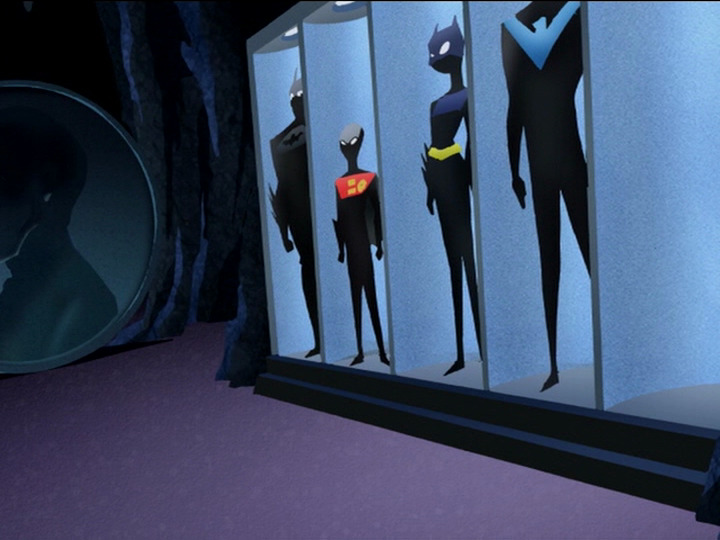 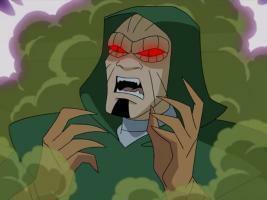 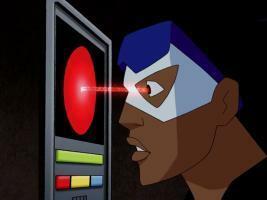 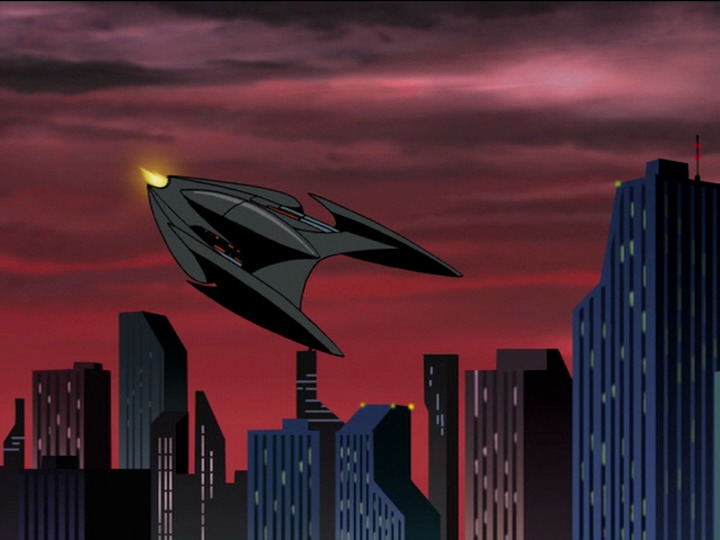 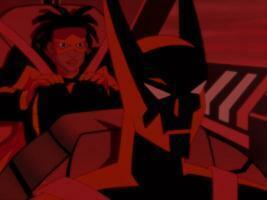 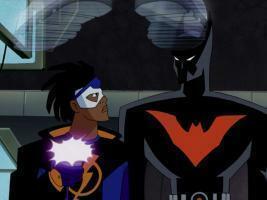 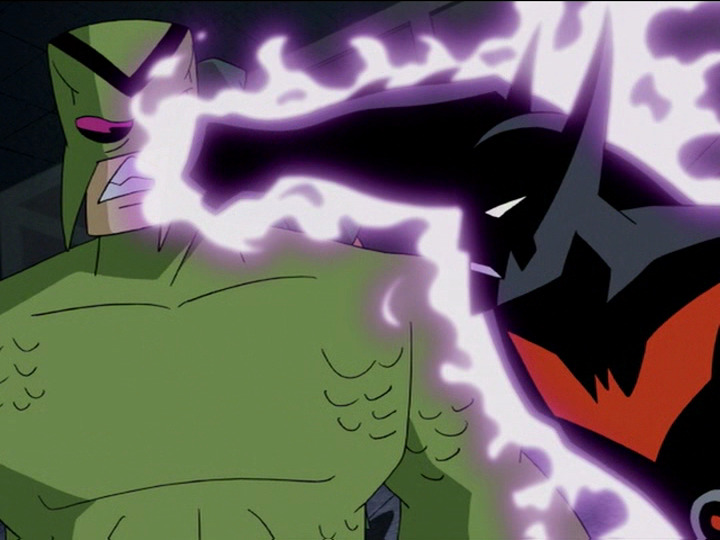 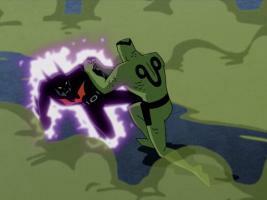 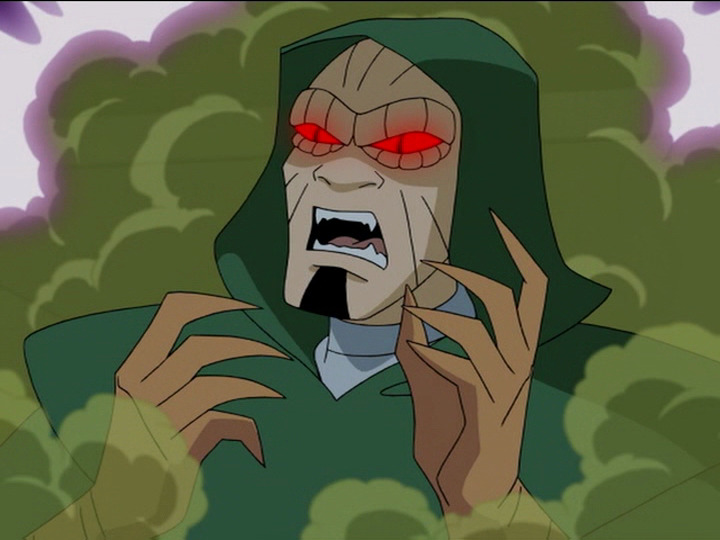 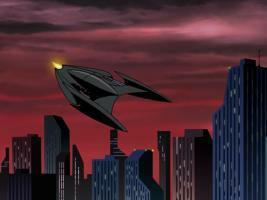 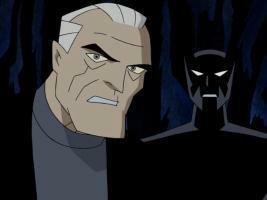 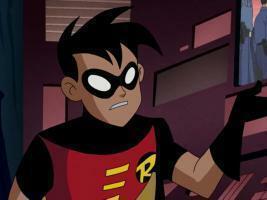 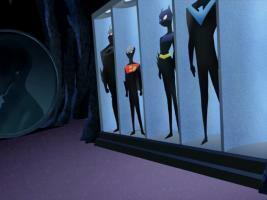 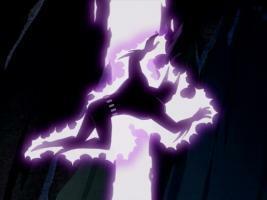 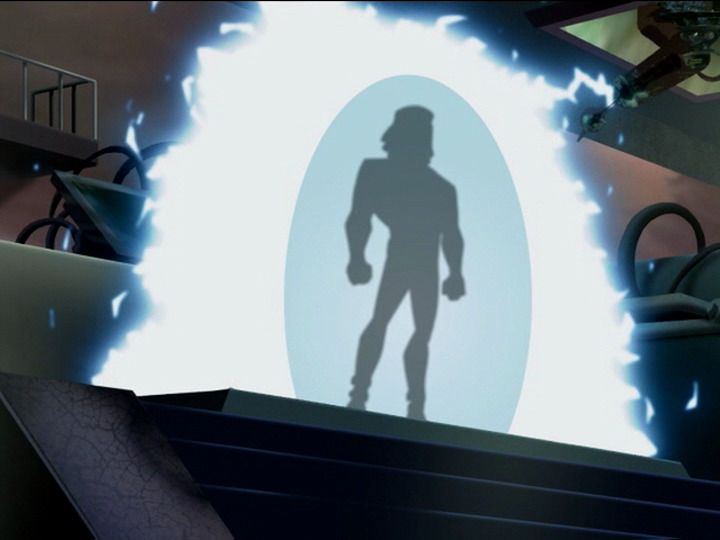 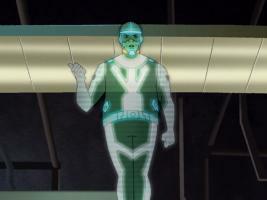 After helping Batman and Robin defeat a time-traveling villain Static is shot into the future world of Batman Beyond. 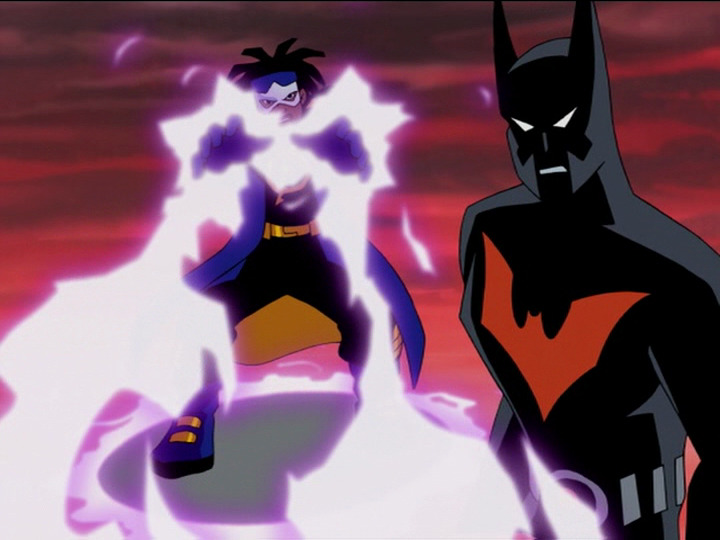 He clashes with the new Batman (Terry McGinnis) and learns from an elderly Bruce Wayne that a terrorist organization named Kobra has kidnapped one of the world's greatest heroes: Static's future self! While searching for the place where Kobra is holding Future Static our Static is annoying Batman with his wonderment of the future; the Kobra agent that the government was going to exchange for Static escapes and Static and Terry realize that they must save Static's future self on their own. 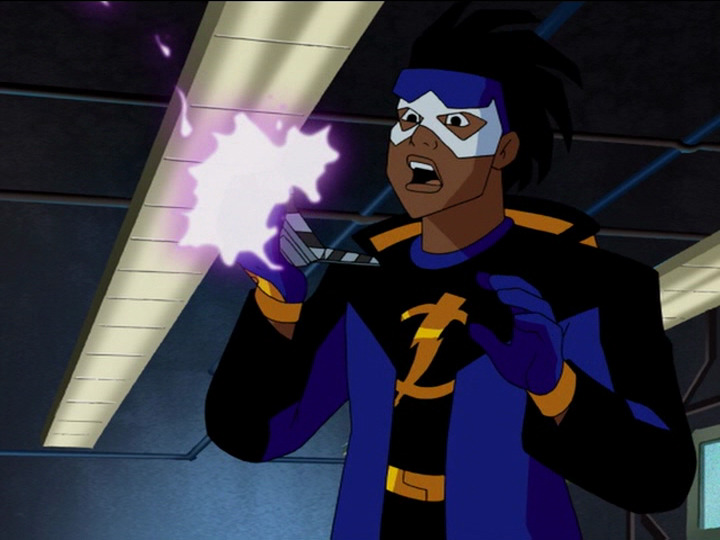 Static flies to the gas station in Dakota and sees that it is now a secret ungrounded compound and learns from a hologram of Future Gear where Future Static was headed. 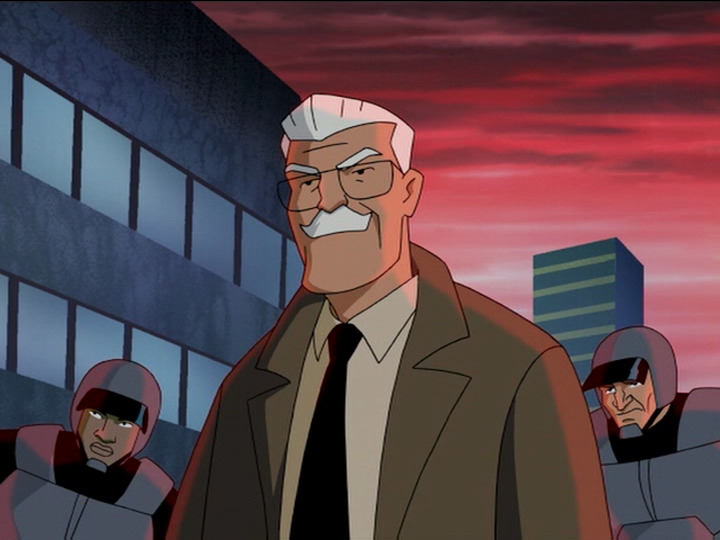 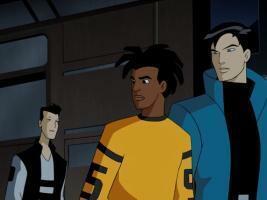 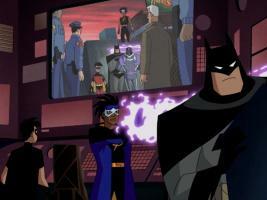 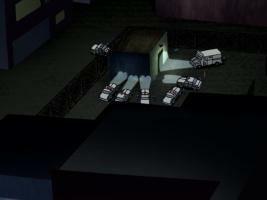 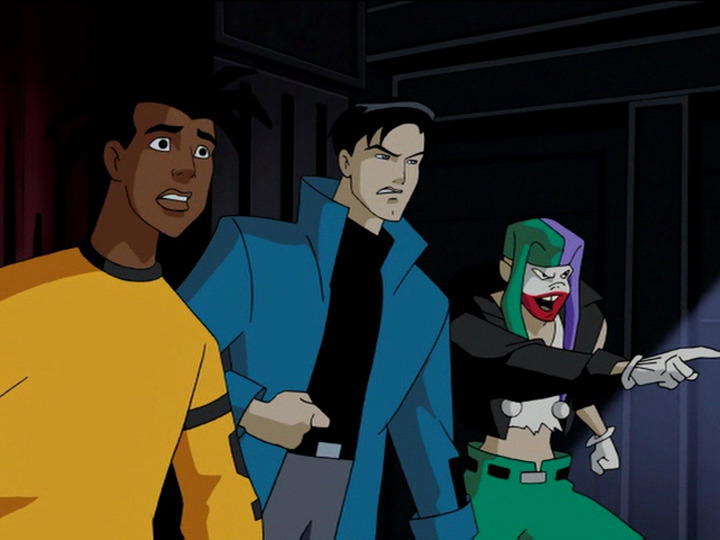 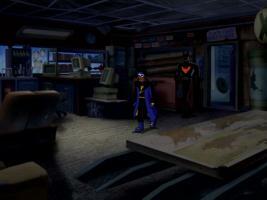 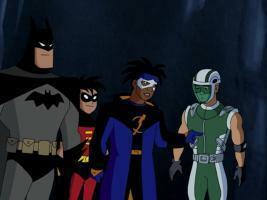 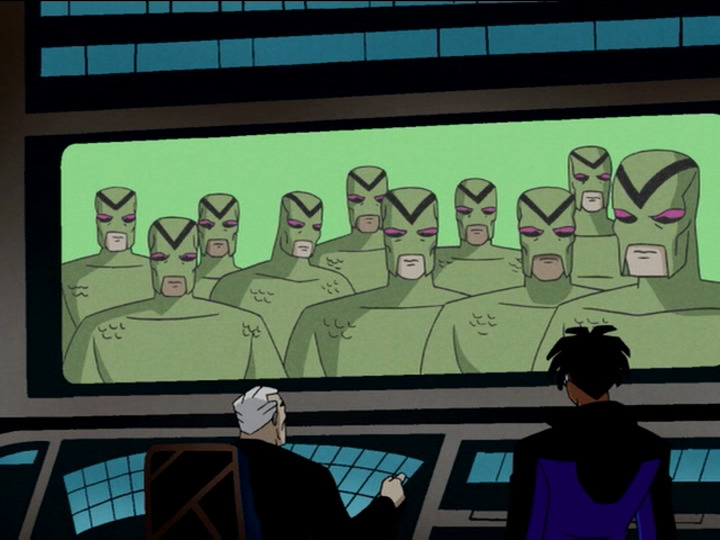 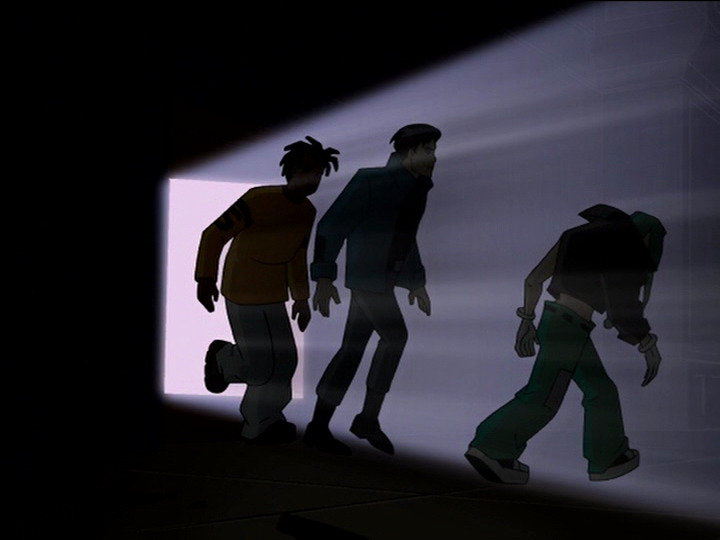 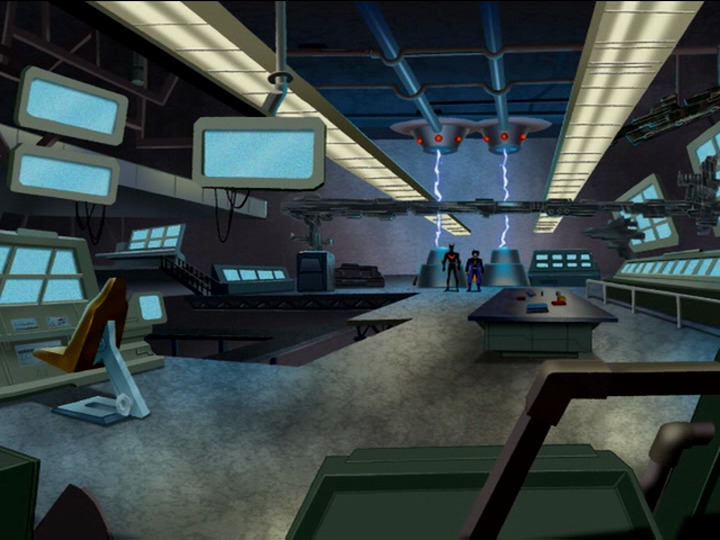 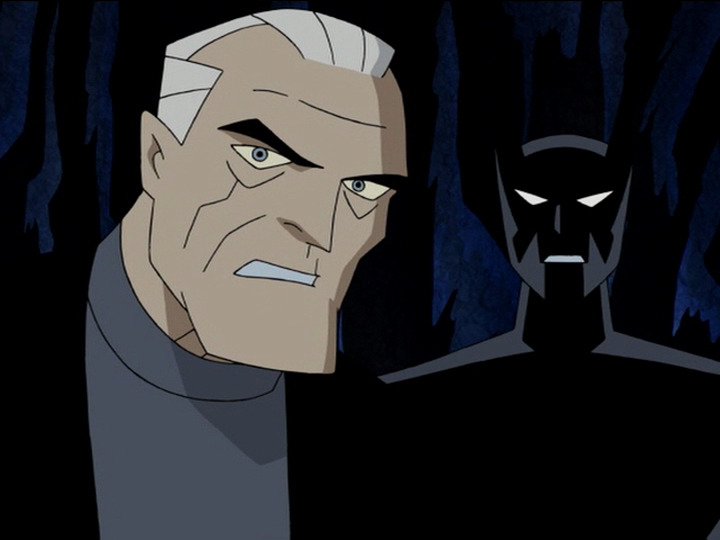 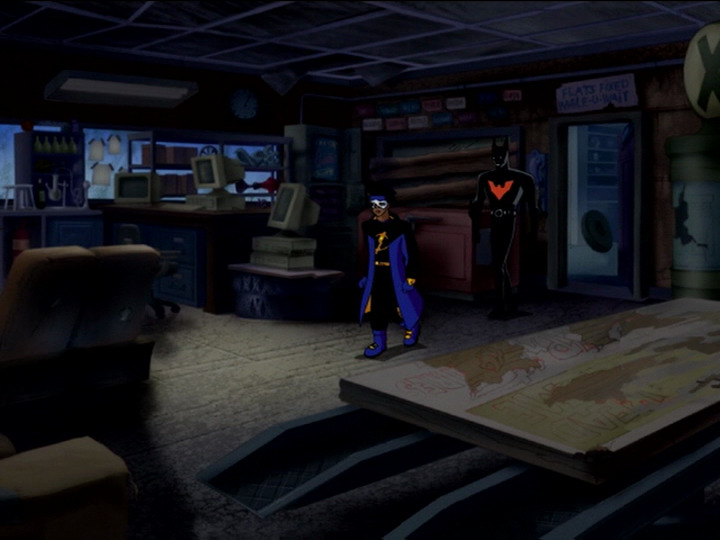 Static and Batman arrive at the compound and are surrounded by Kobra agents. 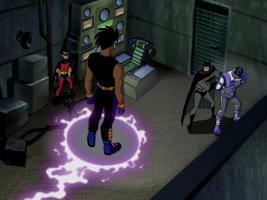 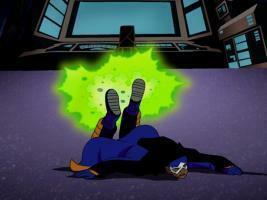 Static manages to free his future self and they and Batman take the Kobra agents down. 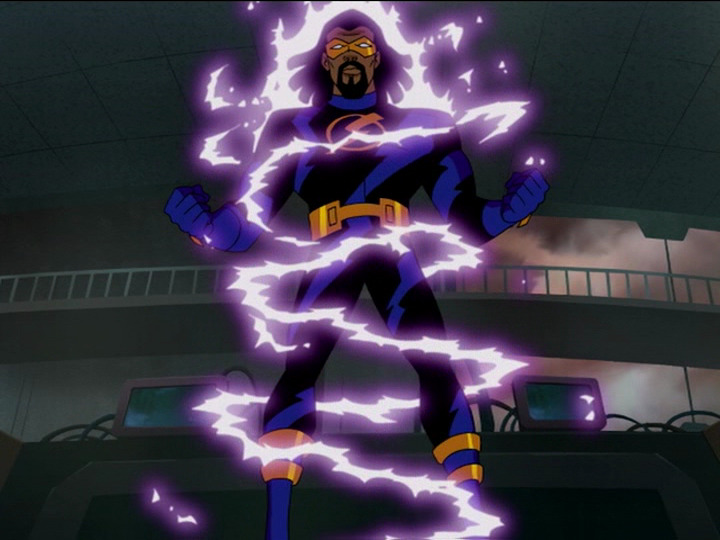 Static is given the advice to believe in himself by the Future Static as Gear and present day Batman manage to bring him back to the present. 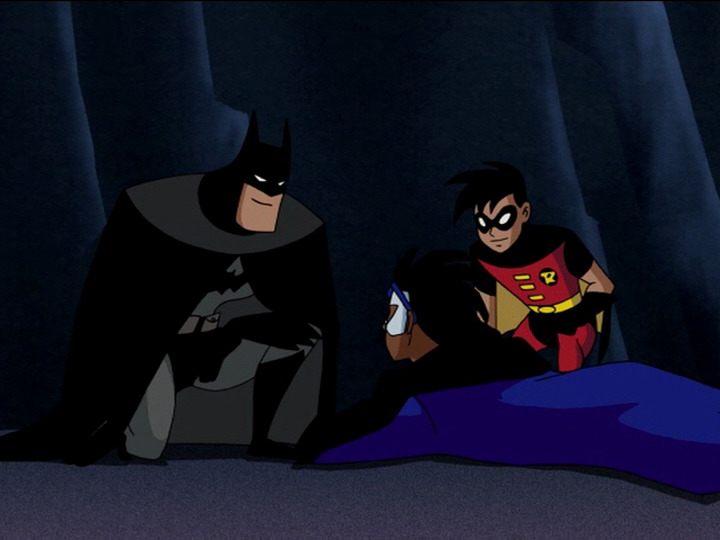 You know, the earlier Batman and Superman crossovers never really impacted me as much as this episode did because we could always still see Batman and Superman on Justice League. 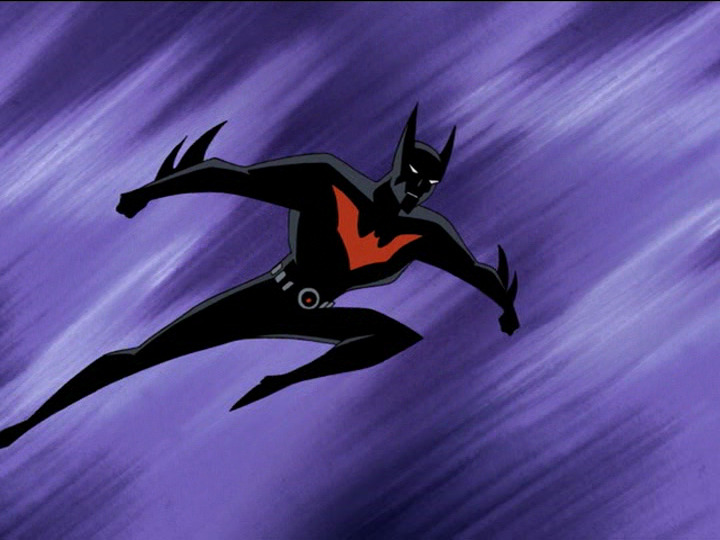 But Batman Beyond is gone and cancelled and it was such a treat to return to this world for one half hour. 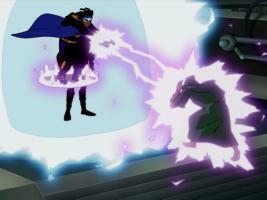 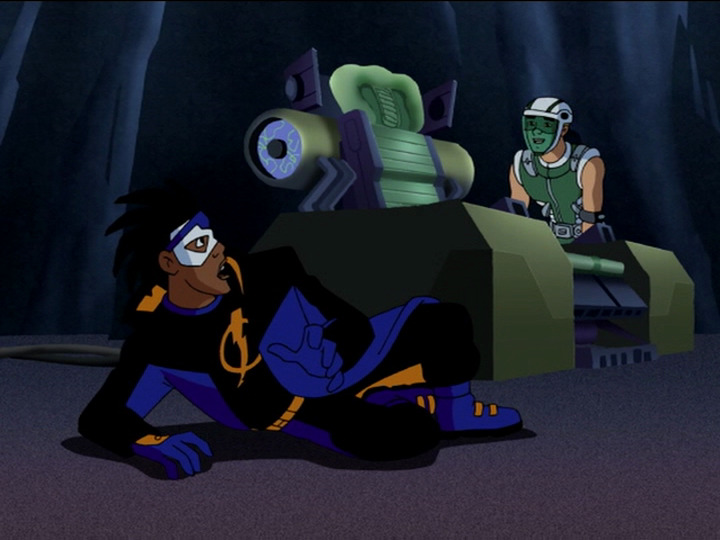 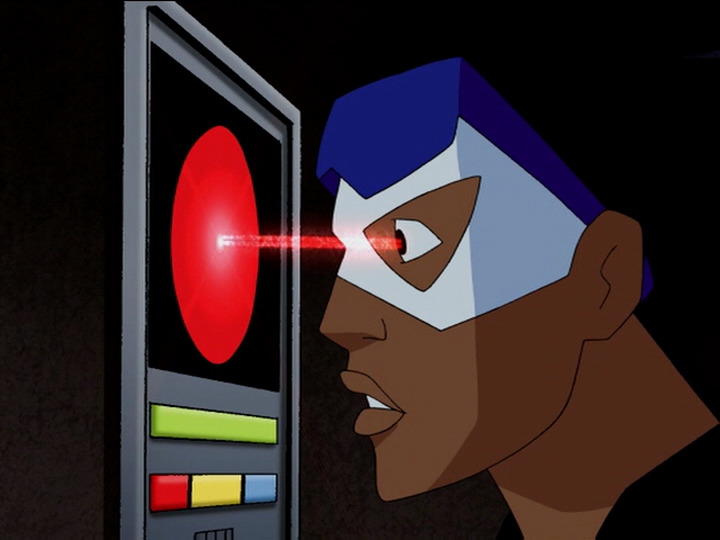 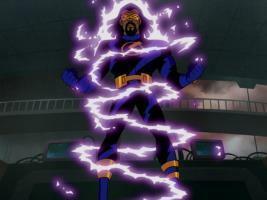 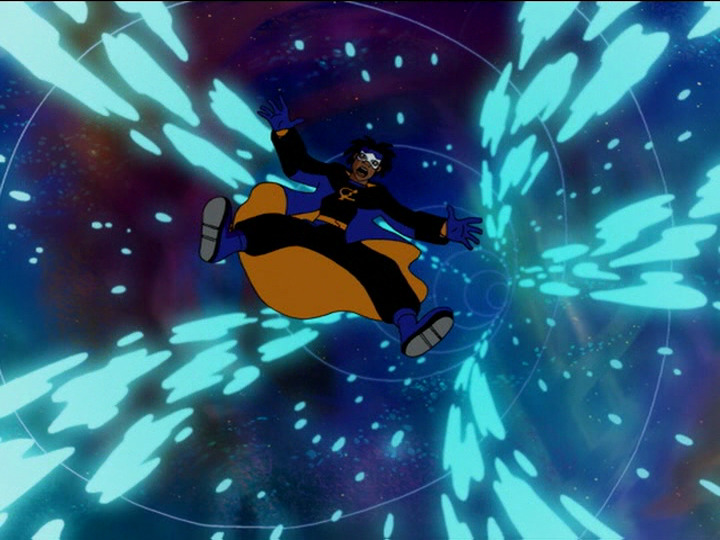 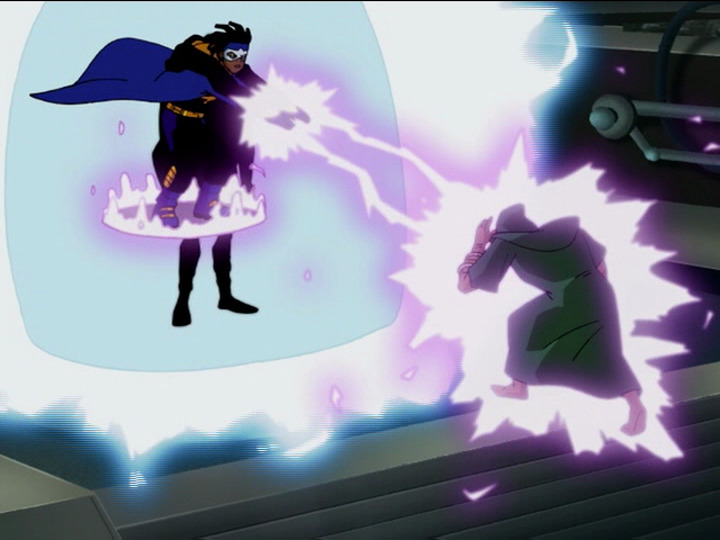 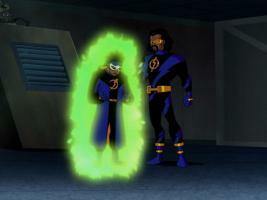 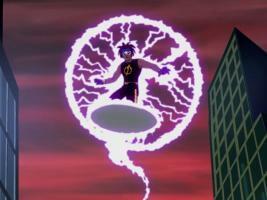 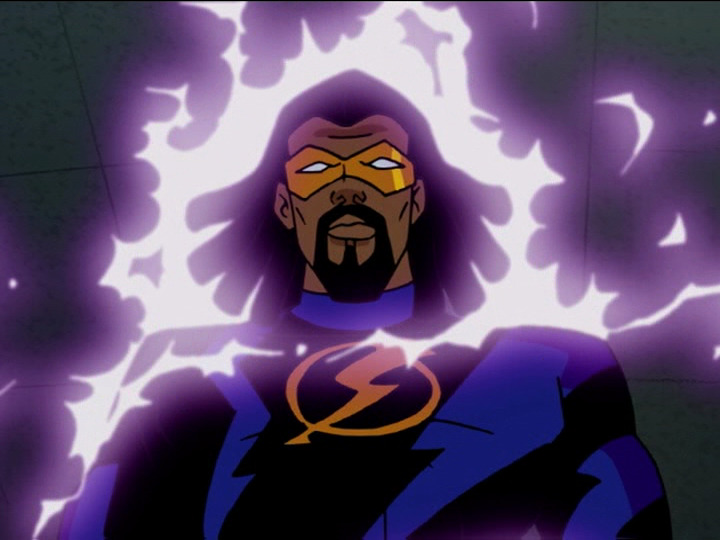 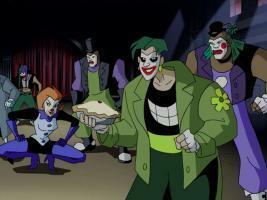 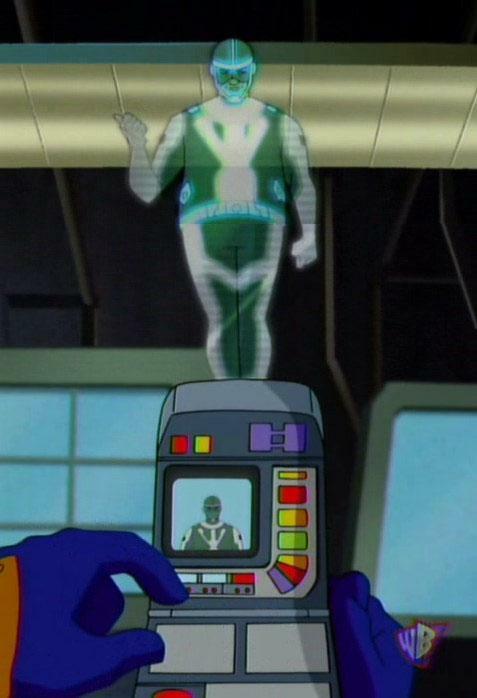 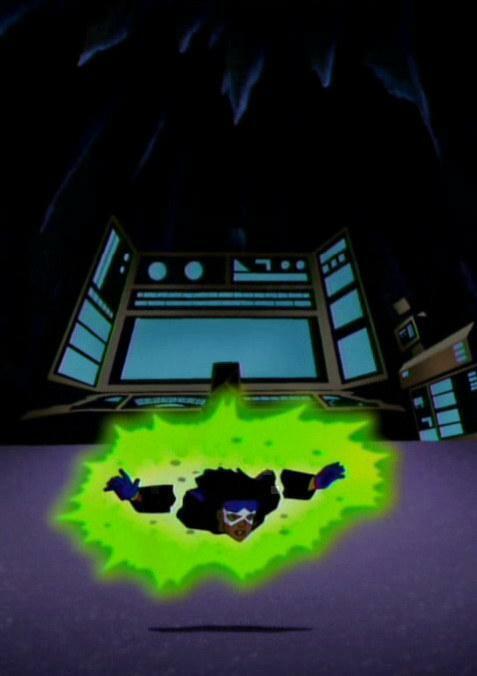 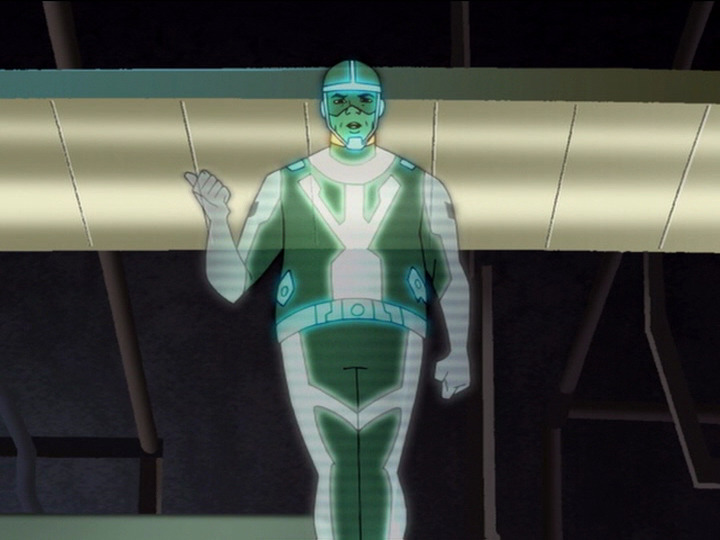 So many things were great about this episode: The reference to Robin being a civilian; hearing that Wonder Woman is still alive; Future Gear being fat; Terry actually believing Static's name was Beyonce (which is still one of the funniest jokes the show has ever done because it was totally in character for both Static AND Terry) and Future Static's costume design which is a zillion times cooler than it was in JLU's The Once and Future Thing. 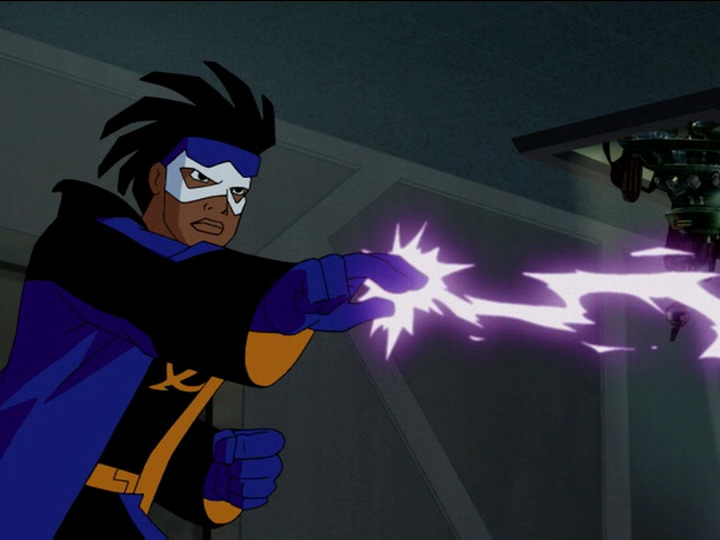 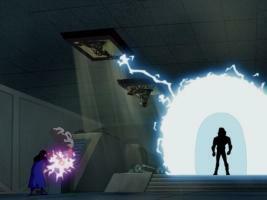 The moment where Static met his Future self was just so cool and gratifying. I really don't have a single bad thing to say about this episode. 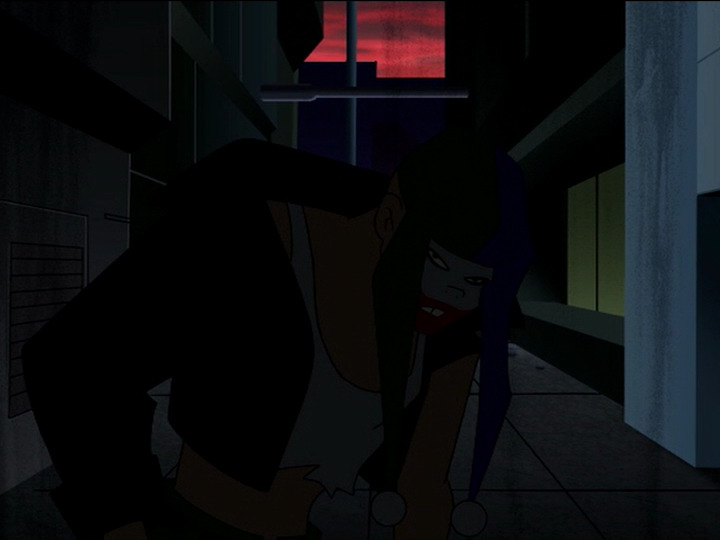 The animation was decent (and I was delighted that everything was animated in the Batman Beyond style) and it was cool hearing Robin's growing tension with Batman (which would worsen after Return of the Joker). 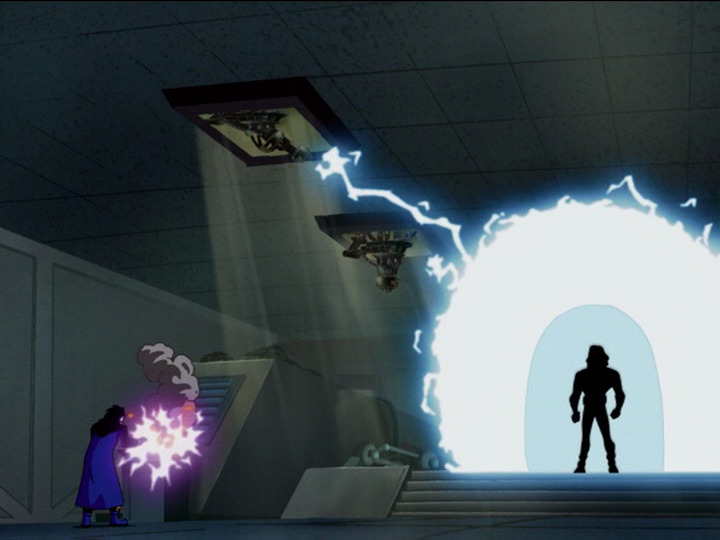 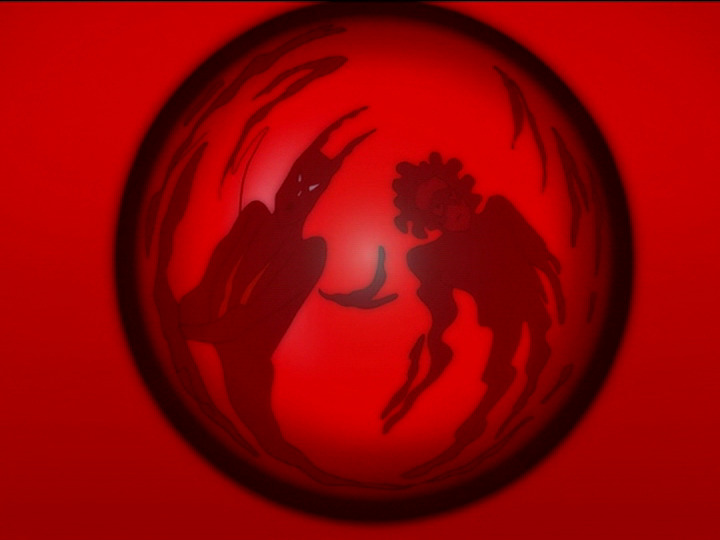 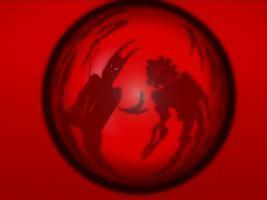 Everything about this episode clicked and I thought it was one of the best crossovers ever.